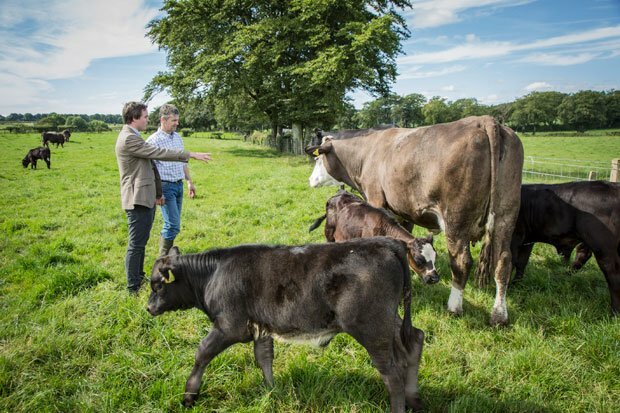 Andrew Duff of Wishaw-based wholesale butchers MacDuff boastfully describes the fourth-generation family firm's meat as 'the Rolls Royce of Scottish beef'. Insofar as it's possible to enjoy every last part of their flagship product from bumper to bumper, he sort of has a point. 'We've recently seen a trend towards more restaurants employing their own butcher or having butchery capabilities on-site,' says Duff on the subject of the nose-to-tail cooking movement, something they've done well to tap into by selling whole carcasses. 'It means not only cost savings,' he continues, 'but also that they're able to offer a much wider range of cuts to their customers.' This year, it has helped MacDuff win Scotch Brand Product of the Year at the 2018 Scotland Food & Drink Excellence Awards. Their prime cuts are matured on the bone to ensure tenderness, and their sides hang for a minimum of four days prior to cutting. They sell to high-end butchers and caterers across Scotland, England and beyond, with Andrew and his son Rory Duff hand-picking all the meat for customers every morning.